Designed with class in mind, the Caroline Estate Collection offers a beautiful and elegant structure in any bathroom design. 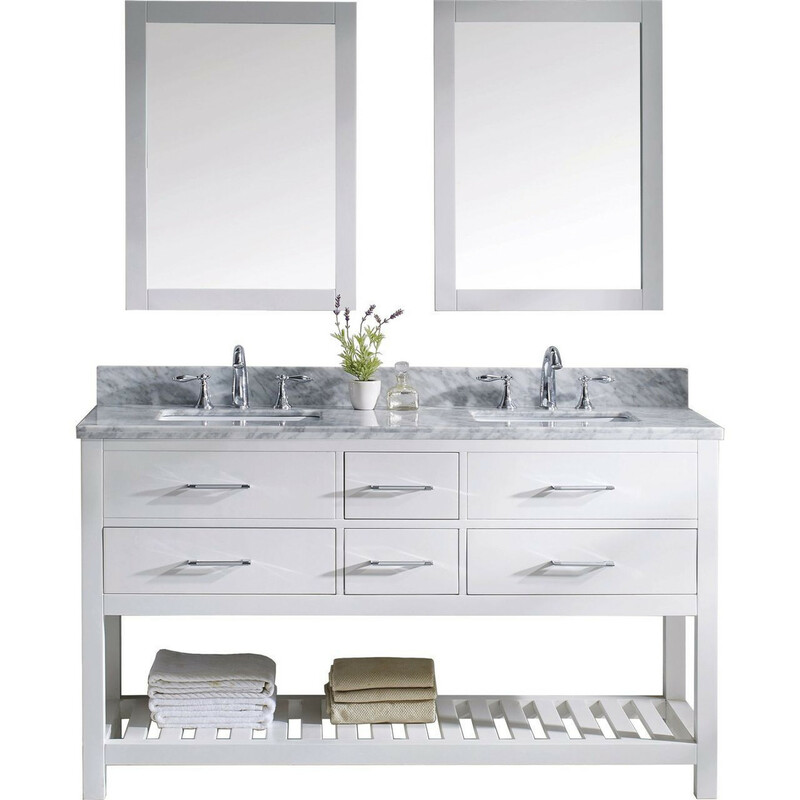 This vanity is finished in your choice a classic espresso, grey, or white color and includes a single full framed mirror. This vanity offers a revealing hospitality towel rack for additional storage. The sleek look of the countertop in Black Galaxy Granite or Italian Carrara White Marble completes the set for this high-class vanity that works well in any master or guest bathroom. Available in 36", 48", 60", 72", the Caroline Estate features four or six drawers depending on size and comes with your choice of square or round basins.